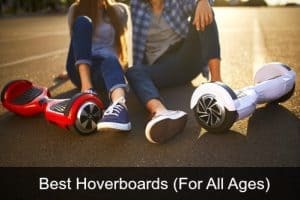 Hoverboarding continues to be popular in 2018, and hoverboards/self balancing scooters are safer and better quality than ever before. 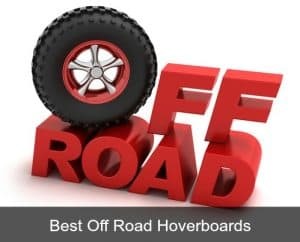 Many hoverboard accessories are now available to use on, or with your scooter – things like hoverboard skins, stickers, decals, wraps, bumpers, go kart attachments and more can improve your riding experience. Whether you want a silicone hoverboard cover to protect your board from scratches and dings, or just some hoverboard decals or stickers to customize the look, we’ve got the best of them here. Remember: Most of these decals, stickers, skins etc. are made for a standard 6.5” hoverboard. So if you’ve got one that’s a slightly different shape, size, or design you might find it difficult to get a cover for your scooter. Always check the images and product listing carefully to make sure any cover you’re thinking of buying will be compatible with yours. The best hoverboard skins are generally made from silicone and are designed as a scratch protector for the standard 6.5” 2 wheel self balancing scooter. They also come in a variety of colors and designs so you can customize your hoverboard exactly the way you want it to look. Because of the nature of your scooter there’s no way to avoid getting scratches and dents without a cover like this so they’re a valuable addition to your board if you want to keep it looking like new. Some even come with a lifetime warranty and a no hassle replacement guarantee! Vinyl decals are basically just stickers you apply to your hoverboard to improve scratch protection and to make it look more stylish! Like the silicone covers, these are not universal in size so you need to be careful when choosing and make sure you pick one that will actually fit your hoverboard correctly. 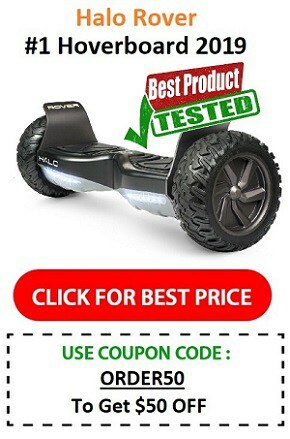 As before, these are for standard 6.5″ hoverboards (not Swagtron or Razor Hovertrax among others). If you do get the wrong size it won’t be easy to apply, and you may need to trim it to fit properly which probably won’t end up looking as good. Some of the Amazon product listings give you a list of the hoverboards their vinyls will fit and which are incompatible. Easy to apply without bubbles or wrinkles (some people recommend using a hairdryer to heat the vinyl as it makes is stretchier and easier to apply). Keeps your hoverboard looking new and shiny! Note: Standard 6.5” hoverboard covers and decals DON’T fit the Swagtron T3, T1 or T5. If you’ve got a Swagtron hoverboard you’ll need to look for a skin specifically made to fit these models. Keep reading to see our choice of Swagtron skins. As we’ve already mentioned, standard 6.5” skins for hoverboard won’t fit any of the Swagtron hoverboards, and as this happens to be one of the most popular brands we’re going to point you in the direction of a few that WILL fit. The Swagtron models currently available are the T1, T3 and T5, and even these aren’t one standard size. What that means is that if you’re looking for a Swagtron T1 skin you’ll have to find one specifically designed for the T1, and it won’t fit the T5 or T3. Likewise, if you’ve got a T5 you must look for a Swagtron T5 skin as one made for the T1 or T3 won’t fit. Obviously because they’re slightly different in size and design to other 6.5” hoverboards your choice of hoverboard wraps will be more limited. Most of the Swagtron skins that are available are NOT silicone (there is a silicone skin for the T1 – see the T1 skins below) – they’re usually vinyl decal skins, so they will protect against basic scratches, fading and peeling, but are mostly used for decorative purposes. They’re easy to apply and remove (they won’t leave a sticky residue) if you want to change designs. As you can see, hoverboard skins are a good option for any hoverboard and they’re pretty inexpensive too. 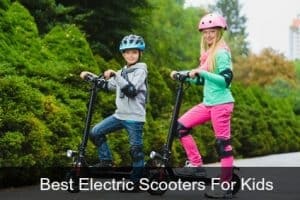 Nobody wants their scooter to look beat up within the first few uses, and without a cover it will almost certainly get plenty of scratches and dings! You can keep it looking new for longer or easily change the style and look of your board whenever you want. The best place to buy decals and skins is usually Amazon, or eBay is another alternative for buying hoverboard skins and accessories.